Credit cards : A help or a hindrance? Criticised for saddling consumers with debt, but celebrated for providing much-needed access to cash, credit cards are the Dr. Jekyll and Mr. Hyde of finance. If you're deciding whether to open up a new account, take a look at our quick guide for the true view on credit cards. A credit card can actually help improve your credit score. A higher credit score can make it easier, or even cheaper, to access a mortgage or personal loan. Having a credit card shows that banks and lenders already deem you credit worthy, and consistently using (and paying off) credit each month shows you are reliable. If you don't pay off your credit card debt in a timely fashion, though, your credit rating will be negatively impacted. A credit card's primary function is arguably to improve your spending power. Having the ability to access credit can be vital when you're hit by any unexpected costs. Some providers also offer periods of interest free credit on purchases, which means you can make large payments and pay over a set period of time without interest - this is incredibly useful for taking advantage of deals on big buys like electronics, cars, or even home improvements. Similarly valuable are the numerous perks that often come with credit cards. Cashback deals and loyalty schemes rewarding customers with Nectar points or air miles are a great way to get value from necessary expenses like groceries and household bills. And all cards come with purchase protection that insures you against damaged or undelivered goods. 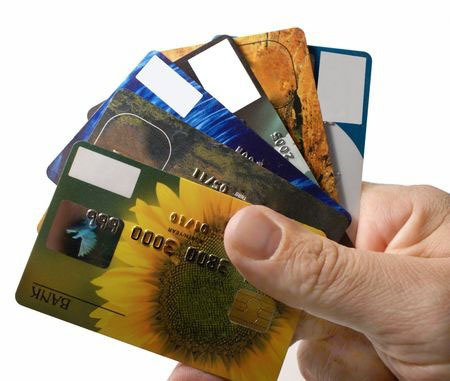 Credit cards can be used to separate personal finance from business, or specific purchases. By ensuring certain spends are only made on your credit card, you have a separate record of these costs. However, there's an easier way to get a clear view of your finances. Our free Money Dashboard budgeting software lets you securely import, tag and display data from all of your accounts - so you can always stay in control of your spending and saving. Our free software is completely safe and secure, with read-only access ensuring that your accounts are always protected. This is where most of the risk with credit cards lies. It's vital to employ good money management skills to repay credit card debt as soon as possible. If you miss the minimum payment deadline, then interest is immediately applied, which can quickly accumulate. There's also the risk of getting caught out by unscrupulous practises like lucrative introductory rates, which are often followed by sudden hikes. But, when used correctly, credit cards represent a useful financing tool, and are generally a far cheaper alternative to payday loans. The real issue boils down to this: if you haven't built up good money management habits, then all the flexibility and perks amount to little more than a lure into debt. Psychologically, it's easy to accumulate unnecessary spending on a credit card because it doesn't feel like you're spending real money. Studies show that those prone to impulse purchases and materialistic tendencies are at serious risk of misusing credit cards. The trend is worsened by online shopping, with many stores facilitating impulse purchases by encouraging users to store their credit card details so they can order quickly. This means that, if you can't stay in control and cultivate good money management skills, a credit card can quickly become more of a hindrance than a help.